I HAVE BEEN BUSY…things are coming together…lots of odds and ends, but soon very soon, the kitchen will be done….here is a sneak peek!!! Look again…and no need to be jealous girl…It is Formica!!! I call it “Faurble” for faux marble…you CANNOT tell it is formica except maybe on the ends and I save thousands! Did you use etchings or gloss finish? We used Etchings. I love it ! 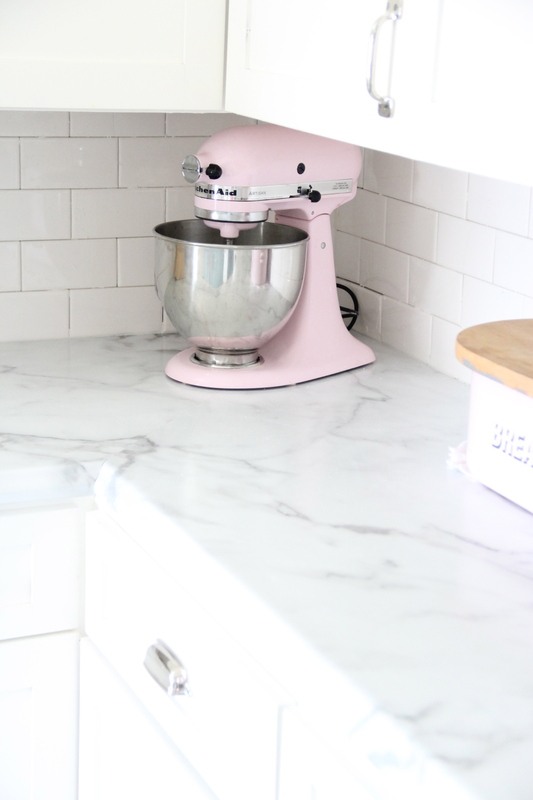 Next Post MONDAY MAKEOVER -KITCHEN PART ONE – The MARBLE Countertops?